Hi! I am from Gelephu,Bhutan. I am trying to be a writer especially for children's stories from the Himalayan Kingdom of Bhutan. Mostly I like to write fantasy and fiction stories for children. I like to read the writing of Baha'u'llah and Abdu'l-Baha. This is a story of two generations of pioneers in the Himalayan Kingdom of Bhutan. My parents belong to the first generation and I naturally fit into the second generation. On 22 June, 1954, Mr. Shapoor Rowhani and his friend Mr. Ardeshir Furudi from Bombay, India heeded the call to serve the Cause. They spent about two months in Bhutan. However, circumstances did not permit them to remain longer in Bhutan and they had to return to India. With that, they were the first Baha’i’s to go to Bhutan and became Knights of Bahá’u’lláh under the Ten-Year Crusade period. Next was Dr. Anayat Soroosh Yaganagi, my father who was pioneering to Bhutan from 1961 until he passed away there in 2015. While my father was still alive there were a few others who had come over to Bhutan to work. However they all returned after a few years in Bhutan. 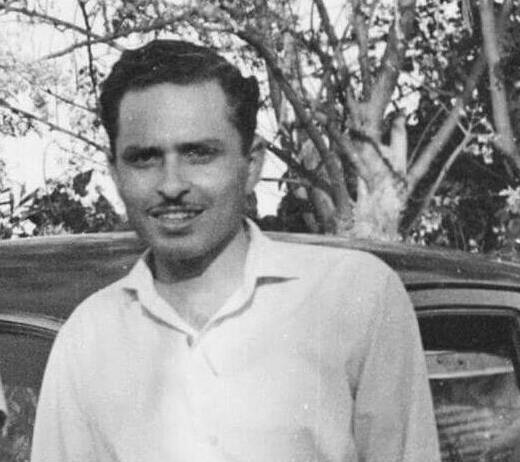 My father, Dr. Anayat Soroosh Yaganagi was born into a Bahá’i family in Pune, India on 5 April, 1936. My grandfather, Mr. Soroosh Yaganagi and grandmother Firoozeh Yaganagi come from a Zoroastrian background. They accepted the Bahá’i Faith through Mr. Zainulabbadin, an elderly Bahá’i living in Pune, India. After accepting the Faith my grandparents went to settle in Bangalore, India. Dr. Anayat is the eldest son among four brothers and four sisters. Two have passed away. The rest are living in different parts of the world. My father himself has six children- five daughters and one son, and seven grandchildren who all live in the Kingdom of Bhutan. My father grew up in Bangalore and studied medicine. He originally intended to study agriculture, but through some strange circumstances he was guided to take up medicine, little realizing that the medical profession would one day take him as a pioneer to a remote and distant country. There were many international Bahá’i travelers visiting and staying with the Yaganagi family in the Tuba Palace in Bangalore, which was the residence of my grandparents. When still a young boy, my father accompanied a Bahá’i lady to Mysore city in India for a Women’s conference. That was probably the first Bahá’i meeting he attended. Many years later when he was a teenager, he served as a guide and took along other visiting Baha’i’s to the same meeting place in Mysore for later Bahá’i meetings. While still studying medicine he also used to go for teaching with many Bahá’i travel teachers to villages in and around Bangalore city. This was his kind of involvement in the Faith in the early days. In the beginning of September 1961, my father met the late Prime Minister of Bhutan, Dasho (Lord) Jigme Palden Dorji when he visited Bombay. During that meeting my father was interviewed and given a job as a doctor in the Bhutan Engineering Services in Bhutan. The Bhutan Engineering Services was responsible for constructing highways. At that time there was a dire need for doctors in Bhutan. Roads had to be constructed from the border town of Phuntsholing in the Chhukha district to the capital town of Thimphu. My father went to Bhutan to work as well as to pioneer in the Ten-Year Crusade period initiated by the Beloved Guardian. He worked on the highway project for 6 months, treating road construction workers and civilians. Phuntsholing consisted of only a few houses as the town was just coming up. After completion of his work in Phuntsholing, my father was asked if he wanted to go to the capital town of Thimphu, and he gladly agreed thinking that it would be a much developed and bigger city. The local people in Phuntsholing told him that it would take him nine hours of continuous walking and on horseback to reach Thimphu. But my father went ahead and undertook this difficult journey. With no proper roads, it took a week through forests, mountain streams and over suspension bridges. When he finally reached Thimphu, he was quite surprised at what he saw. Thimphu at that time was not too large. It consisted of a palace, a fortress, a few houses, army barracks, only one shop and a small unit hospital. He stayed in Thimphu for a few days and then went to Paro, another small town, to join his duty at the Development Wing. My father met my mother Miss Lingshay in Paro town, close to Thimphu. Co-incidentally both my father and mother had gone to work in Paro. My mother was working as an office assistant in the Development Wing in Paro. She was born into a Christian family in Kalimpong, West Bengal, India on 4 May, 1940 and came to be called Lingshay Foning. She belongs to the Lepcha tribe from the Himalayas. One day my father and mother were walking separately down a windy road in Paro. It was on this road that they glanced at each other for the first time. As there were very few expatriates in Bhutan at that time, they became instant friends. It only took exchanging of pleasant smiles to build bridges. They started to occasionally share meals together. Then the sharing of meals became a frequent must! It did not take long before they fell in love. They decided to get married, but it was not all smooth sailing for them. Initially they had a difficult time in getting approval from Mr. A.R. Foning, Lingshay’s father. Mr. Foning thought that the name Anayat sounded more like a Muslim name. He was worried that should my father be a Muslim, he may likely end up with more than one wife. But after some explanation he understood that my father was a Bahá’i by belief and not a Muslim, and the consent was granted. Later on, my father became the favorite son-in-law of Mr. Foning. They had a special bond with each other. The next step was to get parental consent from the parents of my father. He sent a cable from Bhutan to his parents regarding the bride he had chosen, and asked for their consent. It was granted by return cable. With parental consent obtained from both sides, they got married in Paro on 25 October, 1962. It was a simple wedding with a few few friends who said payers. In the same year of 1962, my parents visited the family of my mother in Kalimpong in West Bengal for three days, where they had a cultural wedding according to the traditions of the Lepcha tribe. My father was transferred to Tashigang district in Eastern Bhutan in 1963 with his young bride. They had a civil registration in Tashigang. My mother taught in the local school. Four daughters were born during this period from 1963 to 1972. I was one of them. The district was very remote with no proper roads and infrastructure. My father walked to many places, treating villagers and patients along the way. In those days, there were many lepers who were segregated and from society. The lepers used to live in caves in the forests in the most desolate conditions. The disease was considered most dreadful and deadly. The local doctors generally loathed going near the lepers, for fear of contracting the disease. But my father had a strong desire to get them cured so that they too could lead a normal life among others in the towns and villages. My father prayed for their well being, and approached the authorities. Prayers worked. He was very happy when he got permission from the Government to make temporary housing facilities for the lepers close to the hospital where he worked. He dedicated himself and devoted much time to treat and look after them. When their leprosy subsided, they went back to their original villages, and other health workers used to visit them to dispense medicine. This achievement was much spoken of as a great accomplishment. To this day my father is well remembered for the daring move he made. Since the marriage of my parents took place in Bhutan, my grandparents in Bangalore had not met my mother. 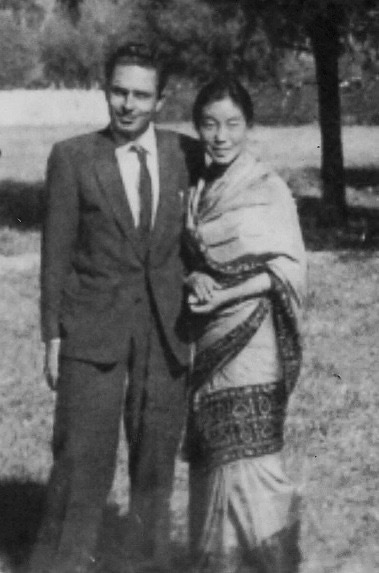 In 1964, my father took my mother to Bangalore where she was introduced to the family of Yaganagi. My mother got on very well with my grandfather Mr. Soroosh Yaganagi and grandmother Firoozeh Yaganagi. They were very pleased with their eldest son having selected a lovely daughter-in-law for them. It was here that my mother delivered Monira, her first child. It was in the same year that my mother became a Bahá’i. Soon mother learned Persian prayers and could speak the language fairly well. Following that they moved back to Tashigang, Bhutan. In the early days of their marriage my parents had gone to Bangalore a few times. In one of their visits they stayed longer in Bangalore when by father did some further study in the medical field. It was during one of these trips in about 1967 that they met Hand of the Cause of God Tarazullah Samandari and his son Dr. Mehdi Samandari who visited the Tuba Palace in Bangalore. We were most pleased to learn that Hand of the Cause of God Mr. Samandari was the only living Hand of the Cause who had met Bahaullah in person and had served Abdul Baha and Shoghi Effendi. Meeting the Hand of the Cause was indeed a great blessing vouchsafed unto our family. Visit by Hand of the Cause of God Tarazullah Samandari and his son Dr. Mehdi Samandari to Tuba Palace in Bangalore, circa 1967. 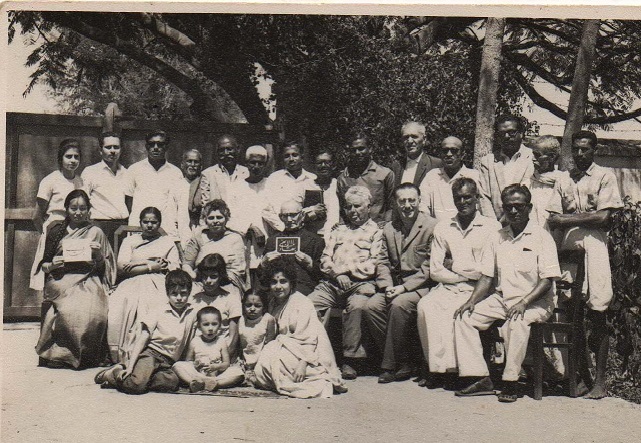 Mr. Samandari is seated in the centre, holding the Greatest Name. Seated third from right is Dr. Mehdi Samandari. 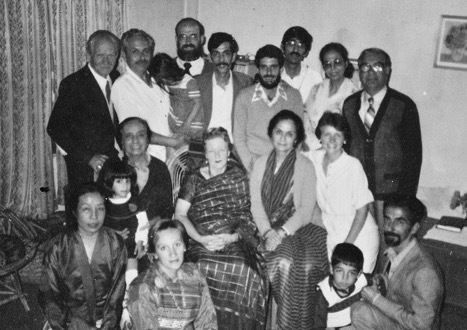 My mother Lingshay is seated at extreme left holding the greatest name, Dr. Anayat is standing second from left. The smallest girl sitting on the floor is Monira, the first child of the Anayats. When their fourth daughter was born in 1974, my father got transferred to Wangdi, another district in Bhutan. This time he was posted to the Army Hospital in Wangdi while my mother taught English and Mathematics for children at the local school. On 2 June,1974, the Coronation of the fourth King of Bhutan, His Majesty King Jigme Singye Wangchuck took place. My father applied for citizenship and the king, who recognized the great services my father was doing for Bhutan, bestowed citizenship upon my father and his family members. With the granting of citizenship upon my parents, my family became permanently rooted in Bhutan. My brother Asphendiar Yaganagi was born in Wangdi in 1976. By late 1970’s my father was transferred to the Army hospital in the capital town of Thimphu. In 1980 my youngest sister, Kesang AY was born. This made the total number of my siblings six- five daughters and one son. A few years earlier, in August 1979, we had additional manpower from India. Dr. Shorokh Hamadani, a dental surgeon from Bombay came to work in Bhutan. He spent a few years in the interiors like Tashigang and Sarpang as well as in the border town. While still working in Bhutan, he went to Bombay and married Miss Taranen Furudi and came back to Bhutan. He brought her to Sarpang and then they had two sons. Later they migrated to New Zealand. They still occasionally visit Bhutan to meet their friends here. Dr. Hamadini’s nephew Moneer came to Bhutan in about 1981 and took up engineering work for a few years. He worked in the border town of Jaigaon, West Bengal and then moved to the capital, Thimphu. Then he went to Israel, got married and migrated abroad. These seven Bahá’i families were most happy to come to Bhutan to work. Dr. Paolo Morisco was a general doctor, Mrs. Velda Morisco a nurse, Dr. Charles Nuttall a nephrologist, Deanna Kelly a nurse, Ronald A Berry a nurse, Dr. Shahnaz Atashband a surgeon and Dr. Asphandiar a doctor. With the arrival of the handful of these Baha’i’s came victory for the Faith in Bhutan. The first Local Spiritual Assembly of Thimphu was elected in 1983. That was a milestone in the history of the Faith in Bhutan. The Local Spiritual Assembly was functional for a few years, but when the contracts of these expatriates expired they had to leave Bhutan one by one – either to their homeland or to settle elsewhere abroad. With that the Local Spiritual Assembly lapsed. But those Baha’i’s had developed a deep and everlasting bond with my father. Throughout the years they kept in touch with him. Another prominent Bahá’i family that lived in Phuntsholing town is that of Mr. Madan Lal Verma. He is a Punjabi and runs a hotel. When Mr. Madan Verma went to Sikkim for a visit in 1971 he accepted the Faith. His spouse Mrs. Parvati Verma was a Hindu.The first Assembly in Phuntsholing was formed in 1972, with Mr. Madan Lal Verma as a member. That was the furst assembly of Bhutan. 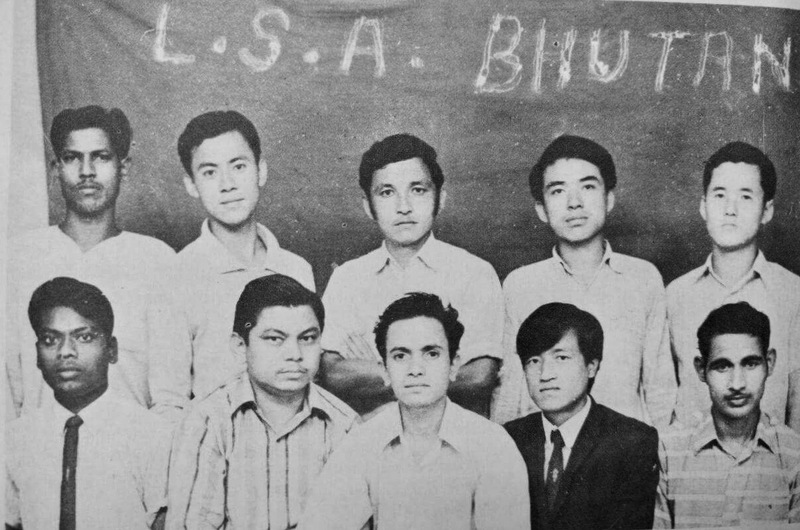 Assembly of Phuntsholing town formed in 1972 is the first assembly of Bhutan.Mr. K.S. Sisodia, center front is pioneer to Bhutan . Mr. Madam Lal Verma is in the front row, second from left. In 1986 Mrs. Parvati Verma attended the inauguration of the Bahá’i House of Worship in New Delhi, popularly called the Lotus Temple. At the House of Worship she experienced the power of the Faith, and in 1990 she also accepted the Faith. In 1982 my parents went on a pilgrimage to Haifa in the Holy Land where they were allowed to stay for twelve days. They visited all the holy places and had the great privilege to be invited for a meal with Hand of the Cause of God Amatul Baha Ruhiyyih Khanum. This was also the time when Mr. Attapur Yaganagi from Bangalore had come to Bhutan for pioneering and settled for a few years in Phuntsholing. He brought along his wife Mrs. Sheela Yaganagi who was not a Bahá’i. My mother prayed for Sheela Yaganegi at the Holy Shrines for her inner eyes to be opened to see the Light of Bahá’u’lláh. What a power of prayers! When my mother returned from pilgrimage, she was happy to know that Sheela had just become a Bahá’i. We felt sad that owing to the health problems of Mr. Attapur, they had to return to Bangalore. 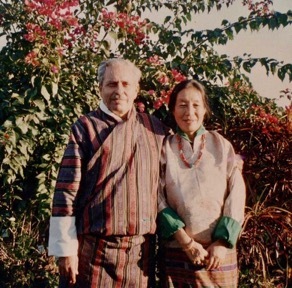 In 1984, Amatal Baha Ruhiyyih Khanum visited Bhutan as a guest of Dr. Paolo Morisco and Velda Morisco who were Baha’i’s working in Bhutan. Dr. Paolo Morisco T had met Amatal Baha when he went on pilgrimage to Haifa, with Velda Morisco accompanying him. When Amatal Baha visited Bhutan she was accompanied by Mrs. Violette Nakhjavani and Mrs. Shirin Bhoman. They stayed for a few days in Bhutan before proceeding to Sikkim, India. We all basked under the loving words of encouragement flowing from AmatuL Baha during that short visit. In the late 1980’s my father was promoted to the high-ranking post of Director in the Ministry of Health. As the Director, he had to attend many international meetings, including meetings at the World Health Organization in various countries abroad. Since Bhutan is administratively part of the National Spiritual Assembly of India my father used to get information concerning Bahá’i conferences in India, and would attend them whenever possible. In 1990, my father was posted as the Director of the National Institute of Family Health. He was later made Superintendent of the Hospital in Gelephu. This was his last posting before he retired in Gelephu. Since Gelephu has the vastest plains in Bhutan with a warm environment, my parents found Gelephu an ideal place to retire. My father served the Government and people of Bhutan for 33 years and seven months until he retired in 1994. After he retired from service, he practiced Homeopathy at home and treated patients who came all the way from different areas and localities. In May 2001, my father and I traveled to Haifa and were fortunate to attend the opening of the Terraces of the Shrine of the Bab on Mount Carmel. Family of Dr. Anayat family with his oldest grandson- Tenzin Rabgye taken in 1995. I am standing at extreme left. My father had a rich Bahá’i life. In 2012 my parents celebrated 50 years of happy marriage. Towards the end of his life, my father was confined to his couch for over five years, and he could not walk due to a serious lung condition. 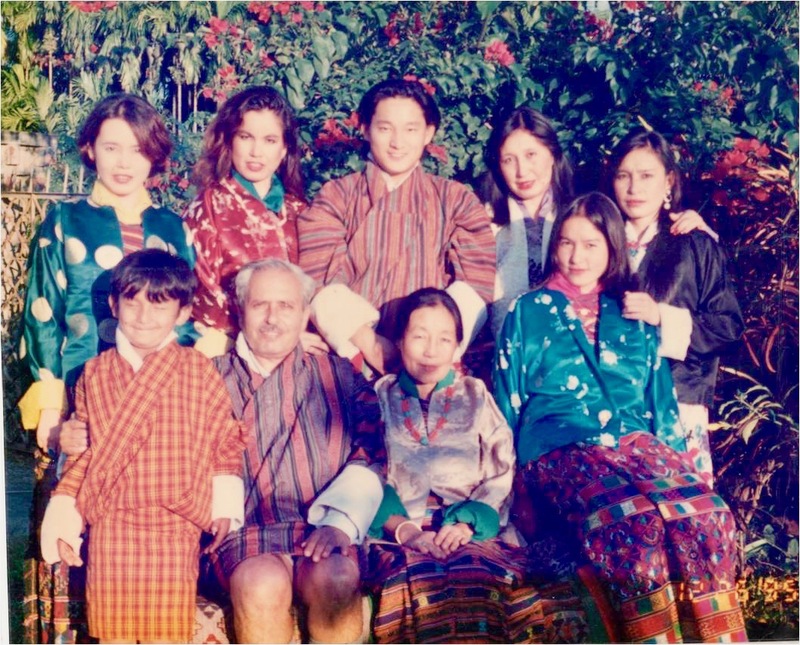 Some members of the Royal Family of Bhutan, almost all of father’s relatives from around the world, as well as friends spoke to him on the telephone in his last days. Close friends visited him and spoke to him. He was then hospitalized. Before bringing him home from the hospital, he kissed all his children goodbye and said farewell. When he was brought back home he went into semiconscious state for three days before taking his flight to the Abha kingdom. Prayers were requested for him at the Holy Threshold in the Holy Land. It happened that on the day the prayers were requested, all the nine members of the International Teaching Centre were on their way to the Shrines to pray. He finally passed away of old age and natural cause on 5 August, 2015. Counselor Gloria Javid and Mr. Shahin Javid, along with my mother’s family and relatives from India were present during his passing. He had a befitting Bahá’i burial and was buried in Gelephu, Bhutan. On his demise the Universal House of Justice sent a lovely message calling him a “ noble soul” and referred to him as the “stalwart servant of the Blessed Beauty.” He was the first pioneer to have died in Bhutan. During more than 54 years in Bhutan, he saw Bhutan develop in many ways with his contribution as well-through the medical services. He witnessed windy trails giving way to big east -west highways, small shops developing into big shopping centers and good infrastructures developing in the major towns. He saw the transition of the country from monarchy into a constitutional monarchy in 2008. His Majesty the 4th King of Bhutan, King Jigme Singye Wangchuck gave him a nickname called “legendary doctor.” My father said that he had enjoyed every moment of his life in Bhutan as a doctor and as a Bahá’i pioneer. Bahá’i Holy Day Celebrations in Gelephu, 2015. My parents are seated in the middle. From the Royal Family to his hospital colleagues and friends, everyone who knew my father knew him as a Bahá’i. He had faithfully served two- kings in Bhutan and had seen the reign of three Kings. He was well recognized and rewarded by the great government of Bhutan not only for his dedicated services, but also because of his loyalty to the government. He received a gold medal for his exemplary services to the country. The government gave him good promotions in his career and even sent him for a four-month study to Ben Gurion University in Tel Aviv, Israel. He was thankful to Bahá’u’lláh and the government for this unexpected reward. While studying in Tel- Aviv, he visited the Shrines and the Holy places in Haifa. My father faced many trials and difficulties along his path as a pioneer, but he always thanked God for the blessings in his life. He was very happy and contented to be in Bhutan. He knew that God always helped and guided him under all situations. He used to say that when a person goes pioneering, there are always angels that surround you guiding the way. He always believed in God and trusted Him completely. We were sad with the passing of our father. But we carried on the example he had set, in promoting and serving the Cause. I was born in Bhutan, but my early years of schooling were in the New Era High School in Panchgani in Pune, India. Let me share just one story to show the power of Bahá’u’lláh in our midst. It is about a family in the southern foot hills of Bhutan. 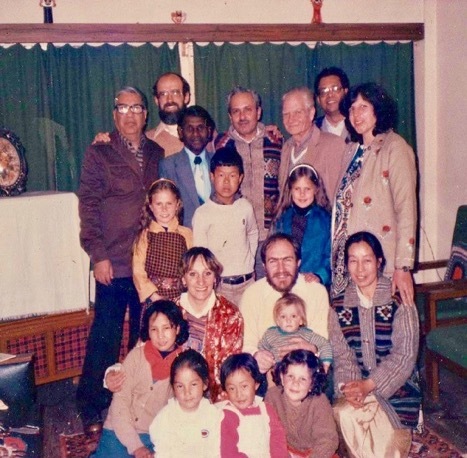 In 1980s to early 1990s there was an Italian Bahá’i family called the Moriscos, who lived in Thimphu. They organized children’s classes where the children learned to draw, sang songs and played together. Their three growing girls invited the local friends over to their house to play. There was one Mr. Yugyal Chandra Rasaily, living in the same town of Thimphu. Miss Trishna Rasaily, his eldest daughter and Miss Dechen Morisco who was the daughter of the Moriscos were kindergarten friends. Trishna started visiting Dechen’s house to attend children classes and to play. Trishna did not know about the Faith at that time. When the Morisco’s moved to Australia, Trishna lost contact with Miss Dechen, and over time forgot about the children’s classes and the songs she had learnt while she was visiting them as a young girl. 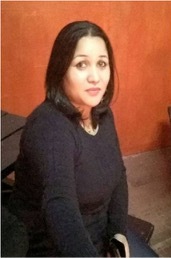 Trishna grew up as a lady. Later, Mr. Rasaily moved to another town called Damphu in Chirang district to teach there. Here he came into contact with another Bahá’i family. There was a Persian lady doctor from India called Dr. Shahnaz Atashband who was his neighbor. 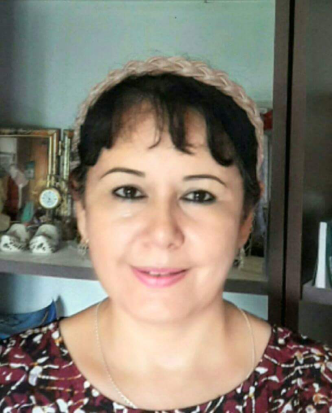 Her husband Mr. Sorab Atashband was working in a private sector. Mr. Rasaily taught two of Dr. Atashband’s children at his school. Soon both families became close friends. Each time Dr. Atashband visited Gelephu, she used to purchase vegetables for both the families. Likewise, whenever Mr. Rasaily went shopping to buy vegetables from the local market, he used to buy the same for Dr. Atashband’s family too. They moved closely like family members. Time passed, and the Rasailys moved to Gelephu in southern Bhutan. At the end of December 1998, when Trishna was a teenager, she was shopping in the local markets in Gelephu. She saw a stall selling posters. She spotted a particular poster that caught her eye right away-it was none other than the poster of the Bahá’i House of Worship in New Delhi. Trishna liked the poster so much that she immediately bought it and took it home. She showed the poster to her family and her father was immediately attracted to the temple in the poster. At the footnote, Mr. Rasaily noticed the address for the National Spiritual Assembly of the Baha’i’s of India. In early 1999, Mr. Rasaily wrote to the National Spiritual Assembly of the Baha’i’s of India in New Delhi, enquiring more about the temple. He soon received a reply from the late Mr. R. N. Shah who was then the Secretary of the National Spiritual Assembly of the Baha’i’s of India. Mr. Shah referred Mr. Rasaily to Dr. Ali Merchant who was the Director in the External Affairs Division. There was a flow of correspondence between the two. Mr. Rasaily also read one Bahá’i book which was sent to him. He was so touched by the Writings that he wrote to Dr. Ali Merchant and asked “How do I become a Bahá’i?” Dr. Ali Merchant immediately sent him a declaration card to be filled, signed and returned. Meanwhile, Mr. Rasaily was not silent. Excited with the fire that was kindled in his heart, he started to share the Teachings to friends he had known- even before accepting the Faith officially. He spoke about the Faith to his neighbor shopkeeper friends. When one declaration card arrived he asked his friends if they too would like to sign in the card. Five friends signed on a single card. They were Mr. Rasaily, Mrs. Ganga Rasaily, Mr. Gopal Jogi, Mrs. Purnima Jogi, and Mrs. Hari Maya Monger. 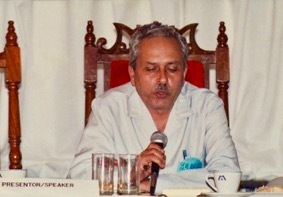 The card was sent back to New Delhi with a note saying “May we have the addresses and phone numbers of the local Bahá’i friends in the vicinity of Gelephu, or could you send some Bahá’i friends from nearby localities to teach us the Bahá’i way of life?” A reply letter arrived from Dr. Ali Merchant giving the telephone number for my father who now lived in Gelephu. At the time this particular development was taking place back in Bhutan, my father was abroad. On his way back to Bhutan he dropped by at the Bahá’i House in New Delhi, and went over to the national Bahá’i center as well. My father was well known to the National Spiritual Assembly of India and other friends, especially the late Mr. R. N. Shah. Mr. Shah gave the addresses for the friends in Gelephu who has just signed the card. My father was very excited and came home full of happiness. In the meantime, when my father was in New Delhi, some dramatic event took place in Gelephu. One fine day my mother received a phone call from Mr. Rasaily. He said he and a few friends had accepted the Bahá’i Faith, and that the National Spiritual Assembly of India had given him the contact details of my family. My mother was very excited and said they should meet up in person soon. My father came back from New Delhi and immediately went over to see Mr. Rasaily in his electrical repair shop. When they met, my father had a pleasant surprise. He had known this Rasaily in person for some years. But since the name Rasaily was so common in Bhutan, it never occurred to him that this friend he had known personally was the same Rasaily Mr. Shah was talking about. After that the new Bahá’i friends in Gelephu became part of our world family. By the year 1999 when Mr. Rasaily and friends became Baha’is’, Dr. S. Atashband, the Persian Bahá’i that had already completed her contract and moved abroad. It was many years later that Mr. Rasaily found out that Dr. S. Atashband and family were Baha’i’s. He once commented that not once did Dr. S. Atashband talk to him about the Bahá’i Faith. But he admitted that he could see something different in them even at that time. Now he was able to see that they were different because they were Baha’i’s. He further commented that hey had not taught by words, but by deeds. Until that time of acceptance of the Faith by the Rasailys, ours was the only Bahá’i family in Gelephu. With Mr. Rasaily and his friends becoming Baha’i’s in 1999 a small community grew and the Faith was strengthened further. In 2000, there was the first Assembly formed in Gelephu. Today Mr. Rasaily, is a retired teacher by profession who is now a farmer in Gelephu. He also owns an electrical repair shop. His wife, three daughters and five grandchildren are all Baha’i’s. At this time there are two Assemblies in Bhutan- one in Thimphu and the other in Gelephu. In Gelephu we try to get together for Devotional meetings, Nineteen Day Feasts and observance of Holy Days. 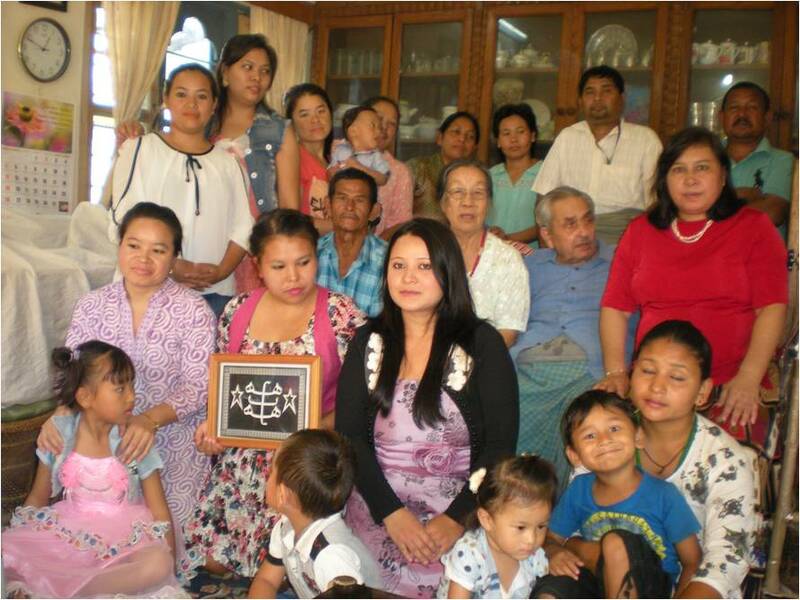 There are now four families in Gelephu getting together for Bahá’i activities. I am happy my parents had many children, as this has added the population of the Baha’i’s in Bhutan. Ours is the biggest Bahá’i family in Bhutan. The constitution of Bhutan, says that a Bhutanese citizen shall have the right to freedom of thought, conscience and religion, and that no person shall be compelled to belong to another faith by means of coercion or inducement. A letter written on behalf of Shoghi Effendi to an individual believer, dated December 21, 1948 reads, “The cardinal principle which we must follow, (in connection with your questions), is obedience to the Government prevailing in any land in which we reside.” Therefore, as loyal citizens we Baha’i’s do not teach the Faith outwardly to anyone in Bhutan or force them to accept our Faith. We practice our Faith at home. Even with restrictions, the mysterious power of the Faith operates in its own ways, in its own plane, unfathomable even to the keenest of minds. The Faith is very much alive and active. Throughout the history of the Faith in Bhutan we have seen Baha’i’s coming from abroad to work in Bhutan. And those accepting the Faith in Bhutan are those from foreign lands who come to work here. It is with these people that Bahá’u’lláh has enabled His Light to shine ever resplendently in this remote country. I have seen miracle after miracle. The government of Bhutan propagates “Gross National Happiness is far more important than Gross National Product.” We are a happy lot of people living in this most peaceful country. We love the country, we are loyal to the government and very much in love with the warm and sincere people of Bhutan. The Royal Kingdom of Bhutan truly is a paradise on earth! My mother resigned from the teaching profession in 1980 and is 77 years old now. She passes her time knitting mostly sweaters. Today I am retired and looking after my aged mother and my sister. I am a computer person by profession. My hobby is to write fiction stories for children with a Bhutanese flavor. Our family members serve the Cause to the best of our ability and in line with the prevailing conditions in Bhutan. Bahá’u’lláh works in His own mysterious ways not even the keenest mind could fathom. Where teaching to the natives is not the practice, the Faith is very much alive in this country. This is the indomitable power of the Faith.